The RAID Scuba Diver course program has been designed to accommodate anyone who may be short on time yet want to experience and learn about Scuba Diving here in Phuket, Thailand. The RAID Scuba Diver will provide you, the dive student, with basic SCUBA DIVING knowledge enabling you a complete an unforgettable experience of scuba diving and the underwater world and all that it has to offer – you will be amazed. Course Price includes: All transfers to and from hotel to pool & dive boat, online course manual, certification fee, RAID Instructor, scuba equipment rental, tanks and weights and min 2 boat dives. 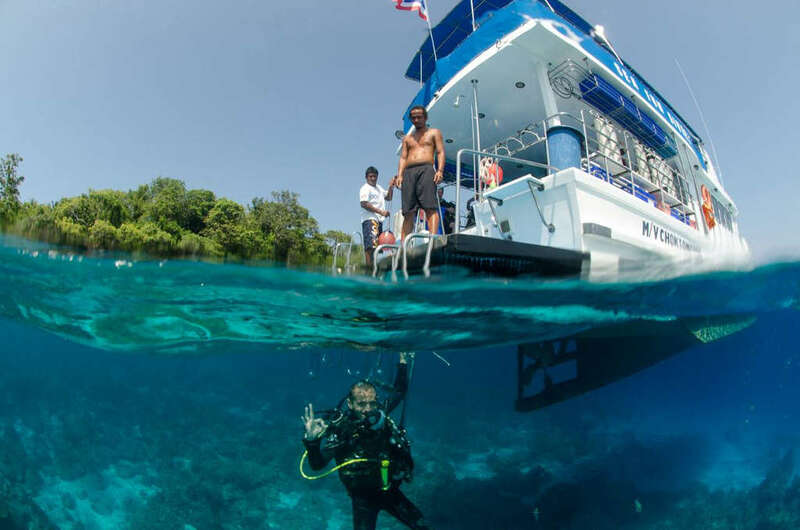 Once you have accomplished the RAID Scuba Diver program here with us in Phuket, Thailand you will receive a certification card indicating your completion of the course. After successful completion you will be allowed to dive to a maximum depth of 12 metres, as long as you go with a dive professional and in similar conditions you have been trained in. No Previous RAID Diving Experience is required to join this diving course. You will learn all the basic knowledge of Scuba Diving and you will be taught the basic skills to be able to dive underwater. This will allow you to dive to a maximum depth of 12 metres with a dive professional across many parts of the world. The Scuba Diver certification is also recognition of learning and allows you to fast track your RAID Open Water 20 course, at a later date, by not having to repeat any skills that overlap between the two programs. Upon completion of the RAID Scuba Diver program you will receive a certification card showing your competence and proof of completing the SCUBA Diver course. Now you are good to go scuba diving in similar diving conditions around the world. Wet suit & Weight system. All materials will be supplied by Colona Liveaboards for you. You should of course be able to swim comfortably. You also must be a minimum age of 12 years old (adult consent needed if under the age of 18 years). Other than that you are good to go to join this scuba diving course adventure here with us in Phuket Island, Thailand. The Scuba Diver certification is also recognition of your learning and will allow you to fast track the next course, which is, the RAID Open Water 20 which you can take later. You will not have to repeat any skills that are the same in the course between the two programs. Sign Up now at RAID Online!